A crocheted bead bracelet made of seed beads size 11/0 and fishing line. 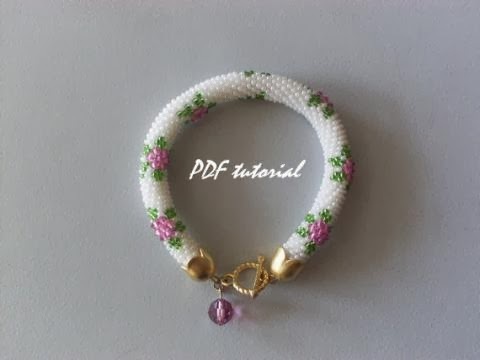 * If you are a beginner in doing bead crochet bracelets and ropes, this pattern and instructions are just perfect for you. However, it requires very basic knowledge of crochet making such as how to make stitches. * Additional customer services are happily provided after your purchase with no charge.